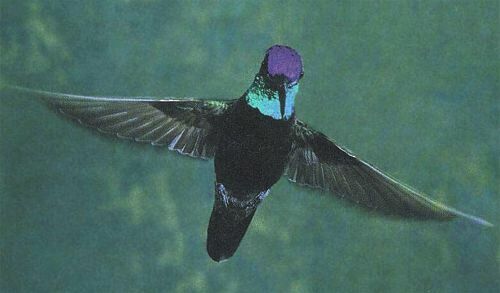 The Magnificent (Rivoli's) Hummingbird, Helidoxa fulgens, is quite large--nearly twice the size of a Ruby-throated Hummingbird. Breeds in the mountains of southern Arizona and southwestern New Mexico and south to Panama. It may also bred in Chisos Mountains of Texas. 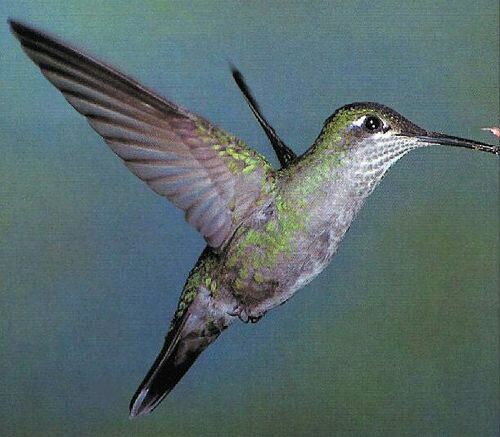 If you have a sharp photo of a Magnificent Hummingbird you would like to contribute for this page, please send it to PROJECTS with info about when and where the photo was taken, the photographer's name, and any anectdotal info about the bird.